Social Media Check-Ins and Gaming Stalls outside the Coliseum. Grab your gears at YONEX Pop-up store too. As the YONEX-SUNRISE Hong Kong Badminton Championships 2018 is entering the final stages, we are bringing you the semi-finals, bronze medal playoffs as well as the finals this weekend. 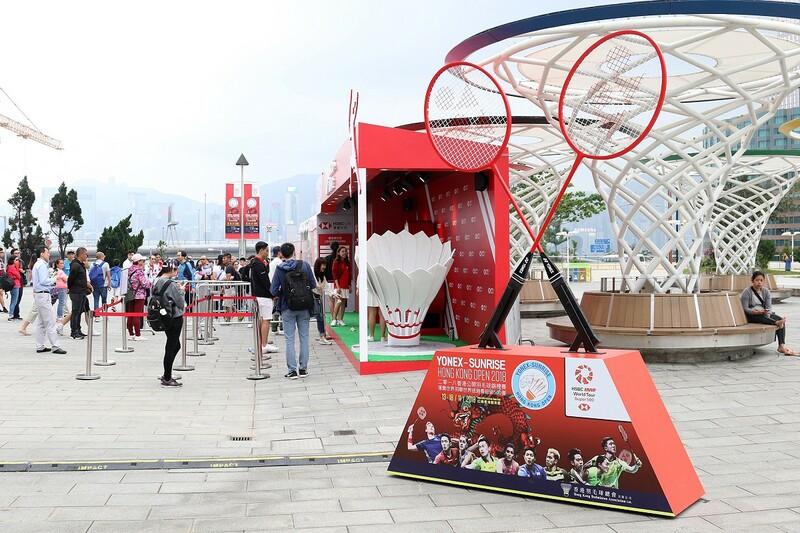 Apart from the exciting matchups, the Hong Kong Badminton Association have also setup multiple stalls across the Piazza just outside the Hong Kong Coliseum. Not only are there YONEX pop-up store for the best equipment you can ever find, there are also gaming stalls setup by HSBC Insurance and TOTAL. Go grab the gigantic badminton rackets for your social media check-ins, enjoy the games and all the fun you can ever imagine! 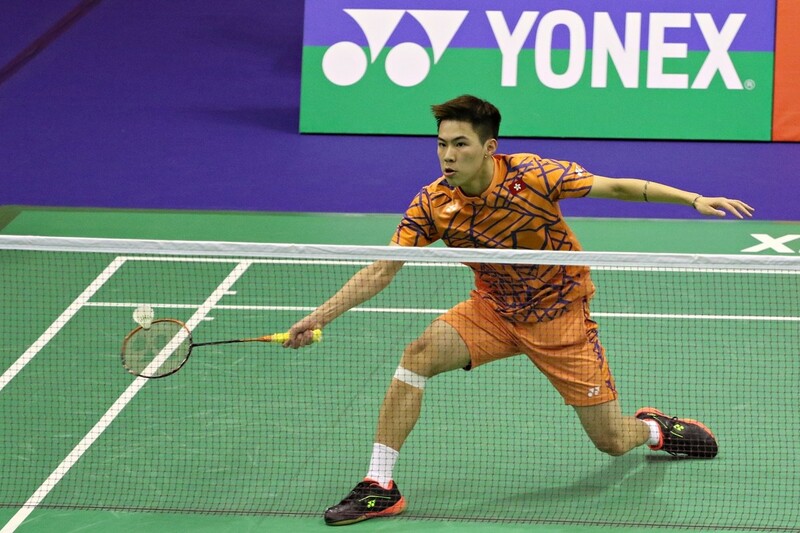 World No.1 player, Kento Momota from Japan came back from behind and advanced to the semi-finals after defeating Indonesia’s Jonatan Christie in this afternoon’s (November 16) quarter-finals at the YONEX-SUNRISE Hong Kong Badminton Championships 2018, he is set to face South Korean Son Wan Ho for a berth in the final, who beat compatriot Lee Dong Keun in another quarter-finals showdown. 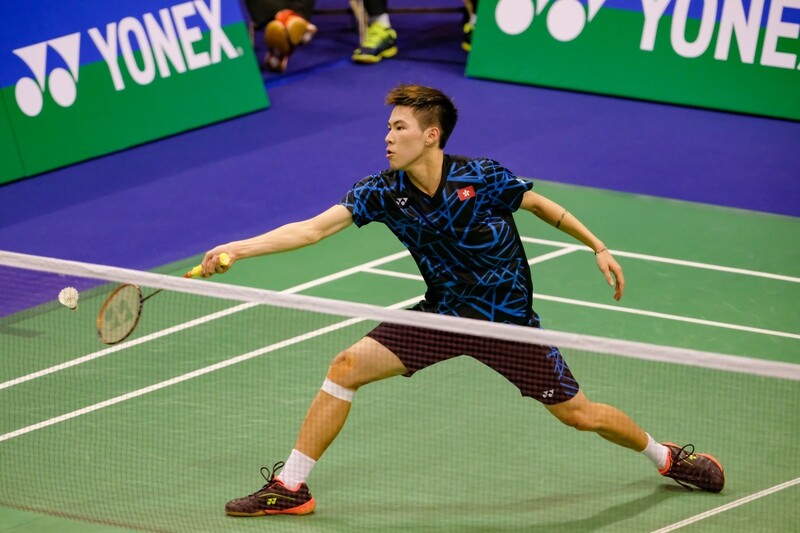 Lee Cheuk Yiu advanced to top 8 of “YONEX-SUNRISE Hong Kong Open 2018” Men’s Singles event after defeating Danish player Hans-Kristian Solberg Vittinghus. 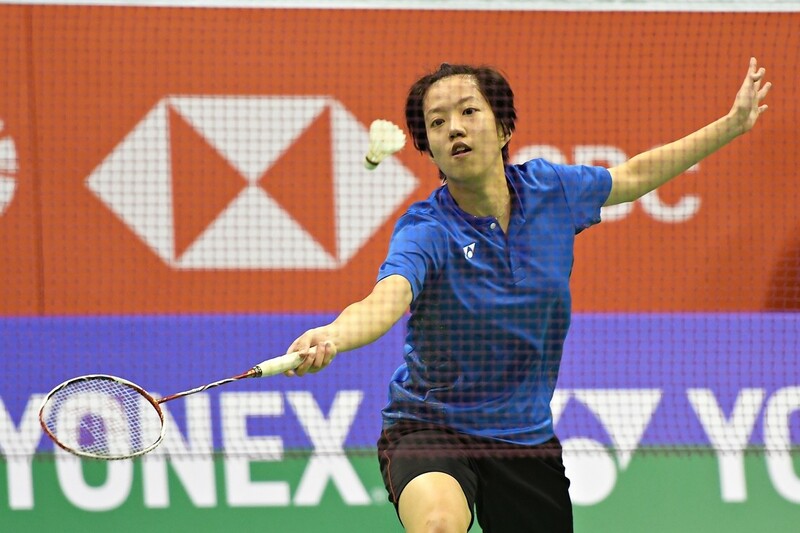 As medal hope Mixed Doubles pair Tang Chun Man/Tse Ying Suet and Women’s Singles player Chueng Ngan Yi stopped in the second round, Lee Cheuk Yiu became the only player left in the tournament. Second rounds of “YONEX-SUNRISE Hong Kong Open 2018” was held today (15th Nov) at the Hong Kong Coliseum, featuring players from overseas and mainland China. Jonatan Christie , the Asian Games gold medalist battled with his fellow Indonesian Anthony Ginting for almost an hour and won in straight games 21:15, 25:23. He will meet world No.1 Kento Momota in quarter-finals. “YONEX-SUNRISE Hong Kong Open 2018” put on a fierce match tonight (14th Nov) between the former No.1 Lin Dan and the top seed, world champion Kento Momota. 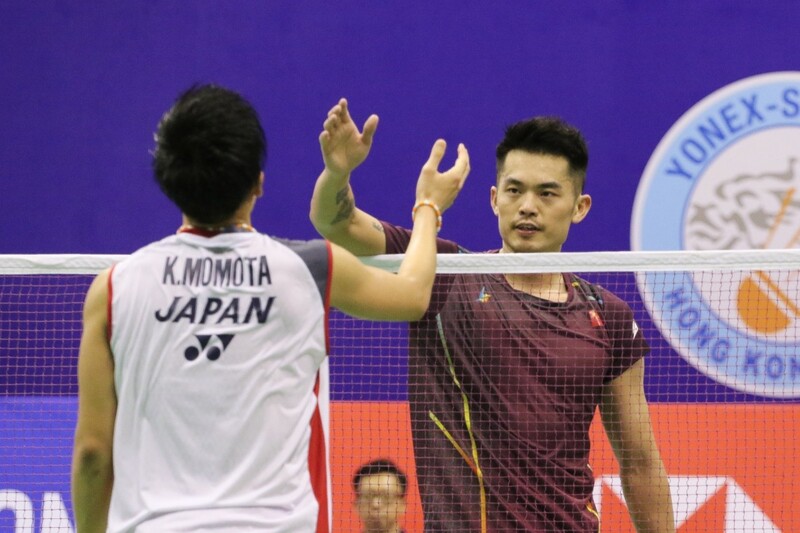 35-year-old Lin lost to Japan’s first world champion Momota after came back in the second game. First round of Singles and Doubles events of “YONEX-SUNRISE Hong Kong Open 2018” have started today (14th Nov). Hong Kong player Lee Cheuk Yiu and Cheung Ngan Yi progressed to second round while Ng Ka Long, Wong Wing Ki and Yip Pui Yin were unfortunately being knocked out from the Men’s and Women’s Singles. 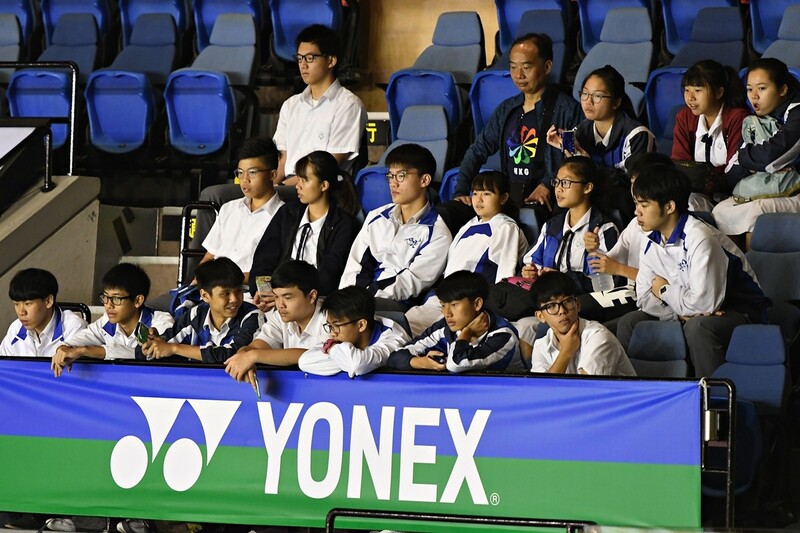 “YONEX-SUNRISE Hong Kong Open 2018” attracted lots of local primary and secondary school students to the Hong Kong Coliseum to cheer up for the players of the first day Singles and Doubles event. 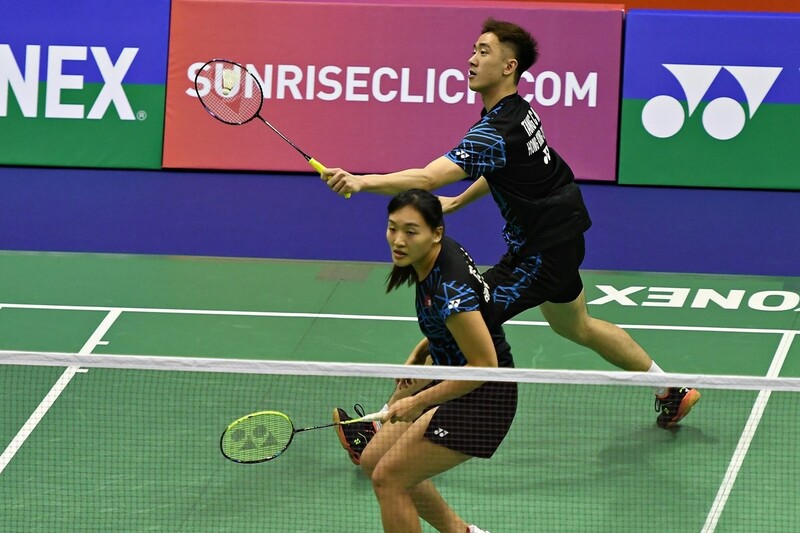 The Mixed Doubles event of “YONEX-SUNRISE Hong Kong Open 2018” started this afternoon (13th Nov). Hong Kong’s 3 Mixed Doubles pair have different results. Tang Chun Man/Tse Ying Suet spent only 31 minutes to promote to the next round. Chang Tak Ching/Ng Wing Yung lost their match with one game ahead. Lee Chun Hei/Chau Hoi Wah went through 3-game match with Wang Yilyu/Huang Dongping of China and stopped at the first round of their last tournament played together. The 6-day “YONEX-SUNRISE Hong Kong Open 2018” commenced today (13th Nov) at the Hong Kong Coliseum. Qualifying rounds players fought for the final 4 places of different events in the morning. Lee Cheuk Yiu came back from a 3-game-thriller defeating his fellow Chan Yin Chak while the veteran player Hu Yun couldn’t go further to the main draw after losing to Tanongsak Saensomeboonsuk of Thailand.